Last week, we talked about some common household dangers that can be found in your living room and home office. This week, we'd like to discuss some of the common household hazards that lurk in your kitchen and bathroom. Oven/Stove: Cats seem to be drawn to warm places where they can curl up and sleep. The stove and oven are certainly warm, but they are obviously dangerous for cats. Whenever you're using the stove or oven, please keep an eye on your kitty. If your cat seems interested in walking on the stove, cover the burners with covers whenever they aren't in use. Cats can also get underfoot. Please be careful when you are transferring hot pots and pans from one place to another in the kitchen. Locate your kitty before moving boiling water so you don't accidentally spill any on your furry friend. My grandmother will turn on her oven and leave the door open for a while to help heat her home. This is obviously not a good idea if you have cats in the home! Food: Please be mindful of leaving food on your kitchen counters or on the stove. Many human foods are dangerous for cats. 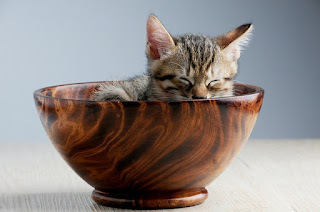 Chocolate, onions, grapes, raisins, macadamia nuts, garlic, raw fish, tuna, and milk are just a few human foods that can cause health problems in cats. When ingested, these foods can cause anything from digestive distress to kidney damage to death. Please cover any food you leave on the counter or stove while you're eating and put leftovers away promptly. I would also recommend rinsing off your dishes before placing them into the sink to be washed. Some cats will lick food off dirty dishes in the sink if given the chance to do so. Trash: Leftovers, meat bones, package wrappers... The kitchen trash can be a very tempting place for your kitty. Please be sure to keep a lid on your trash can so that it's harder for your cat to get into. Alternatively, you can store your trash can in a pantry or cabinet where your cat cannot access it. Junk Drawer: I don't know if you all have one of these, but when I was growing up, we always had a drawer in the kitchen we called the junk drawer. The junk drawer is where we kept light bulbs for the night lights, rubber bands, paper clips, batteries, coupons, pens, tape, and other miscellaneous items. Please keep this drawer shut when not in use. When ingested, batteries can cause ulcers in the stomach, mouth, and esophagus. If ingested, paper clips, rubber bands, and other small items can cause an abdominal or intestinal obstruction. Surgical removal of the item will need to occur in order to resolve the issue. Signs of an abdominal or intestinal blockage may include vomiting, diarrhea, abdominal pain or tenderness, producing a small amount of feces or straining to defecate, lethargy, and decreased appetite. If your kitty has ingested a foreign body, he may also growl or try to bite when you try to pick him up or touch his stomach. If string, thread, or a rubber band has gotten wrapped around the base of his tongue, your cat may paw at his mouth or face. Coins: When I was growing up, we kept a mug in the kitchen where we put loose change. Ensure your cat cannot access loose change. According to Vet Street, ingestion of a single zinc penny can be fatal to cats. 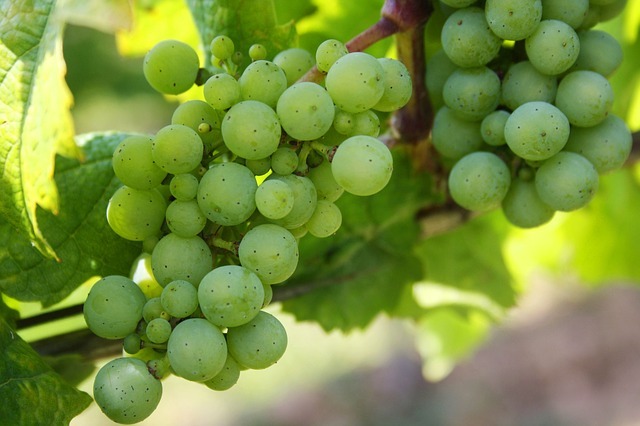 Zinc poisoning can also lead to anemia and liver, kidney, or heart failure. Plastic Bags: When I come home from the store, I tend to set down all of my plastic bags in the kitchen in order to unpack them. If you keep plastic bags, please keep them in a closet or cabinet that is not accessible to your kitty. Cats can suffocate themselves in plastic bags. Other cats try eating plastic bags, which obviously isn't good for them. Household Cleaners: Some people keep a few of their household cleaners, like bleach, glass cleaner, and oven cleaner under the sink. If your cat can open cabinets, I'd recommend getting cabinet locks so that your kitty cannot access your household cleaners. Many household cleaners are toxic to people and to our furry friends. Veterinary Medications: I don't know where all of you keep your cat's medication, but I keep Carmine and Milita's medications in the kitchen because most of their medications and supplements get mixed into their canned food. Please be mindful of what you are putting into your cat's food. Make sure you are giving your cat the right medication and the right dose. If you have more than one cat on medication, please make sure you are giving the right medication to each cat. It is so easy to accidentally give your kitty the wrong medication or the wrong dose of medication. Human Nonprescription Medication: Cats can ingest nonprescription medications when they are accidentally dropped on the floor. According to Vet Street, a 10-pound cat who ingests one 325mg tablet of acetaminophen can develop anemia or even die. Additionally, ibuprofen can cause ulcers, anemia, and liver and kidney failure. Human Prescription Medication: Many human prescription medications are also dangerous to our furry friends. I'd recommend taking all of your medication in the bathroom or another room without a carpeted floor. This way, you can more easily hear if a pill accidentally falls on the floor so you can retrieve it. Don't leave any medications - prescription or nonprescription - on the sink or counter unattended. Treated Toilet Water: Toilet bowl cleaner is toxic to cats. If you use an automatic toilet bowl cleaner, please ensure you always keep the toilet lid down so that your kitty cannot drink from the toilet bowl. Additionally, kittens can easily fall into the toilet and drown. Please keep toilet lids down if you have any small kitties in your home. Bathtub: Likewise, a curious kitten can slip and fall into a bathtub full of water and drown. If you aren't in the bathroom, please keep the door shut when you are running a bath or have a full tub of water. Dental Floss: Cats love to play with string-like objects such as thread, tinsel, and floss. Dental floss is dangerous for cats as it can get wrapped around the base of your cat's tongue when she swallows it. It can also get wrapped around the intestines, leading to an intestinal blockage. Please dispose of all dental floss in a covered trash can or a trash can your cat cannot access. If you think your cat has ingested a foreign body, has been poisoned, or is injured, please take him to your veterinarian. Your kitchen and bathroom certainly contain many potential hazards for your cat. However, being mindful of these potential dangers will help you protect your kitty from them. Catster: 15 Common Household Hazards for Cats. Vet Street: Pet Poisons from A to Z - 26 Common Items that are Dangerous to Cats and Dogs. Cat Behavior Associates: Nine Foods You Shouldn't Feed Your Cats. VCA Animal Hospitals: Ingestion of Foreign Bodies in Cats. Yikes! It's a scary world inside and out. Thanks for the reminders. Yikes! 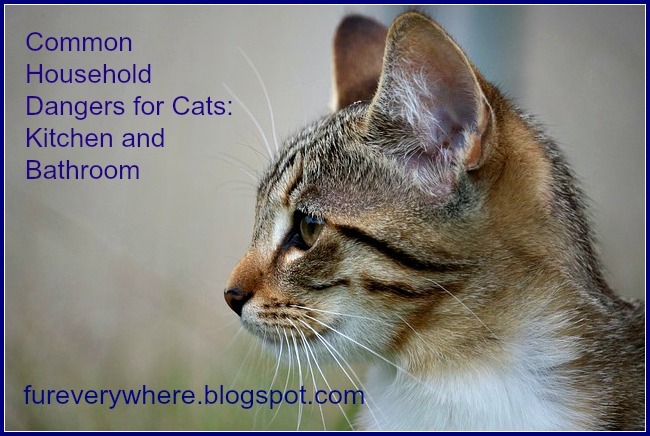 This can scare off a casual person thinking of adopting a cat but a necessary read. I'd talk to your grandmother about heating the room with an open over door. That's how people get overcome by carbon monoxide. When Faith was a kitty, the grandpeeps used to play hide the penny with her. She loved sliding across the floor on a penny. Of course, they were copper on those days. Still TW panics if she drops change or meds on the floor and I'm not allowd in the room until an all-chear signal is given. Don't get me started about her dental floss paranoia. Great post, there are so many hazards and we need to protect our kitties just like we would children. I have to hide the straps of my camisoles when in the clean or dirty clothes basket, because Chuck will chew them like dental floss, string, yarn, blind cords, etc! Angel is a nut for plastic bags, so those are also carefully monitored. But the kitties are worth a couple of moments of prevention! Great list and so important for people to be aware of! Thank you for putting together and sharing this! I'm super careful when we visit an elderly neighbor's house because she will sometimes drop pills and needles and things. Great post gang! Yep, there is all kinds of scary stuff just about everywhere! So that's why my human hides all this stuff from me! Really important stuff! Thanks for the reminders to be extra careful! Oh my goodness-so many dangers. Never worried about some of them until Kilo the Pug as my cats were pretty good about keeping clear most of the time. Kilo on the other hand is into everything and always underfoot. It has been many years since I had a cat. I forget how much they can get into with their climbing. They are why I never have had an electric stove top. LOL! Awesome post! We don't currently have a cat, but I have had them in the past. I also have friends with cats and it is truly amazing what all they can get into. We have a kitty that used to chew absolutely everything so we are very careful about managing the environment so she can't get into anything! Great post! Management is so important! Great safety reminders, thanks! 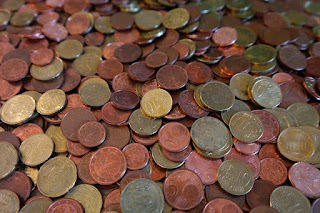 I didn't know that about the zinc in pennies, OMG! Pets are just like toddlers, you have to keep an eye on them and put everything away! Thanks for the reminders! Grate bloggie about safetee! LadyMum has a small pot with wate shee putss on thee burner after shee iss dun cokkin on stove. Sumtimess mee gets cure-e-uss so if mee jumps up mee doess not hert meeself! I'm lucky that Truffle and Brulee don't get on the kitchen cabinets, but I must be very mindful to put up the plastic bags as soon as I get home because Truffle loves to chew on them. Your advice to be extra careful when administering medication- especially in homes with multiple cats- is spot on! Thank you for reminding everyone! This is such a fantastic article, thank you. Sharing to my community! There are so many "hidden" dangers for our kitties. I have a string chewer. Great post.